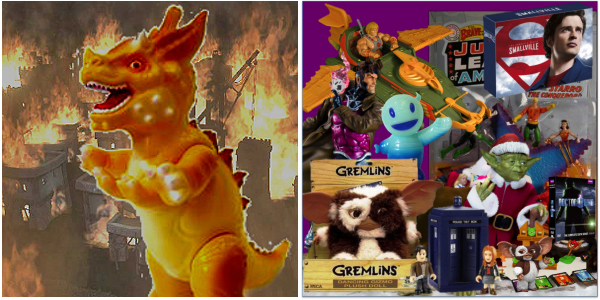 GeekChicDaily is running a contest for their 2011 Holiday Gift Guide which features our Destroy All Kaiju Taoking from Geof Darrow and Frank Miller's legendary comic The Big Guy And Rusty The Boy Robot. Enter the contest over on their site (HERE) for a chance to win a total package valued over $1000 which includes our Mummy Boy Mascot. Geof Darrow's Destroy All Kaiju Taoking is available on our website HERE. Taoking is cast in Yellow vinyl with Light Yellow, Brown and White sprays. $95 each.